Nenagh owes its origins to the Butler family, who for centuries dominated this part of Ireland, and the Butlers took their titles from the territory in north Co Tipperary known as Ormond. Originally, this part of North Munster was controlled by the O’Kennedy family. It was granted to Theobald Walter after he accompanied Prince John, later King John, to Ireland in 1185. Walter was also appointed Chief Butler of Ireland, an office that gave his descendants their family name. 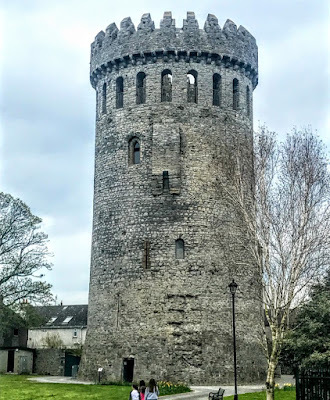 Theobald Walter began to build a circular stone keep in Nenagh, and it was completed by his son, also called Theobald. With walls five metres thick at its base and a diameter of 17.5 metres, Nenagh Castle rises to a height of 30 metres. The crenellations and the windows beneath were added in the 19th century when a Roman Catholic bishop entertained notions of turning the keep into the bell tower for a cathedral that was never built. A year after he became Bishop of Killaloe (1859-1891), Bishop Michael Flannery (1818-1891) launched plans to build a cathedral in Nenagh for the Diocese of Killaloe. 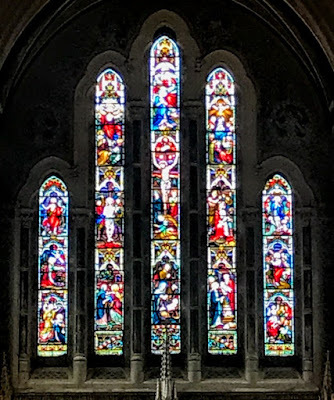 It was 1860, and at the time, the Church of Saint Peter and Saint Paul in Ennis was functioning unofficially as a pro-cathedral, but it had never been consecrated as a cathedral. 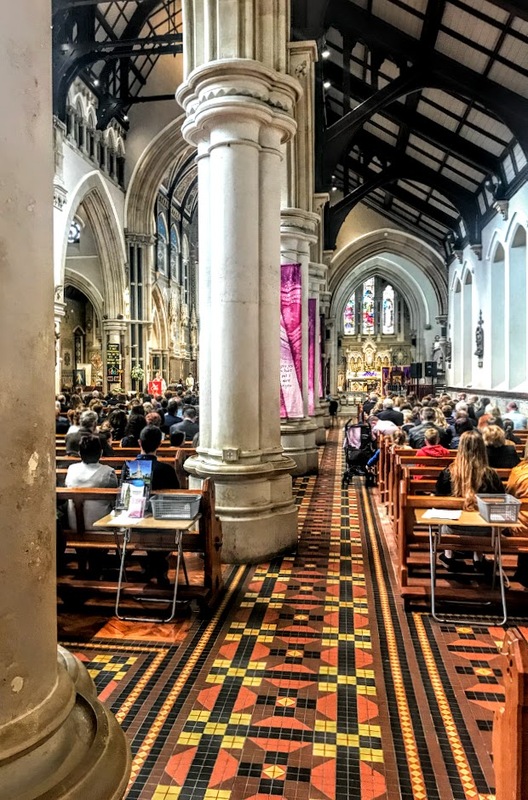 Bishop Flannery commissioned Pugin and Ashlin to designed a new cathedral and presbytery in Nenagh, and the new bishop sent a number of priests, including his cousin, Father William Flannery, to North America on a fund-raising mission. He bought the site of Nenagh Castle and the surrounding land, and he began to restore the castle in order to incorporate it into his planned new cathedral. However, the project depended substantially on American funding, and Bishop Flannery’s scheme came to an abrupt halt when the American Civil War broke out in 1861. 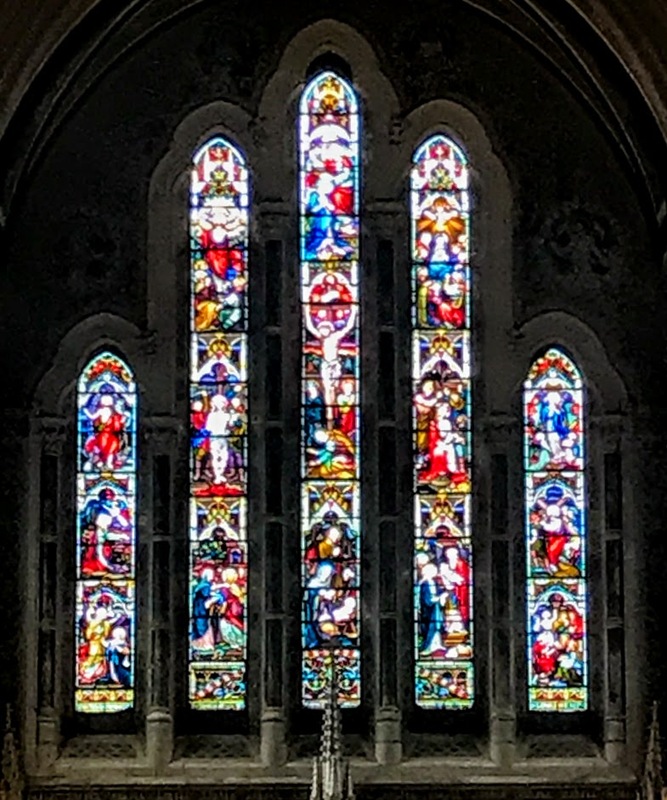 The interior of the Pro-Cathedral in Ennis was completed that year under the supervision of JJ McCarthy. By the time the Civil War came to an end in 1865, Bishop Flannery had asked for a coadjutor bishop to be appointed to the diocese, and he had moved to Paris in 1864, where he lived in virtual retirement until he died in 1891. 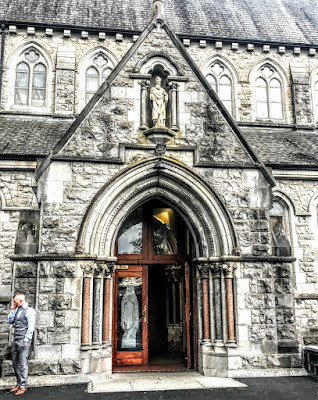 When Thomas McRedmond (1839-1904) succeed Michael Flannery as Bishop of Killaloe in 1891, he decided to base the diocese at the church in Ennis, and so the parish church was designated as the pro-cathedral of the Diocese of Killaloe. 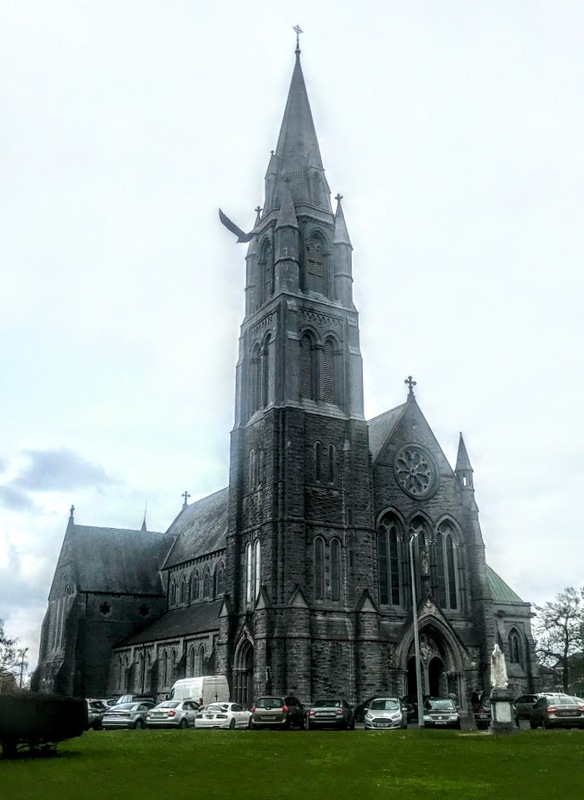 Nenagh still needed a Roman Catholic parish church to replace an earlier church built in 1841. Saint Mary of the Rosary Church was built in 1892-1906 by the Parish Priest of Nenagh, Dean Patrick White, and when the first phase of building work was completed, the new church was dedicated in August 1896. The church was designed by the Dublin-born architect Walter Glynn Doolin (1850-1902), whose works include Saint Carthage’s Church, Lismore, Co Waterford (1881-1892), the Father Mathew Memorial Hall in Dublin (1890-1891), Holy Cross Church and Monastery, Clonard in Belfast (1900) and the Church of Saint Mary and Saint Michael, New Ross, Co Wexford (1894-1902). Thomas Drew was the assessor of the competition for the new church in Nenagh, and other entrants included Pugin’s son-in-law, George Coppinger Ashlin. The foundation stone was laid on 2 October 1892, and the church was built by John Sisk of Cork at a cost of £40,000. 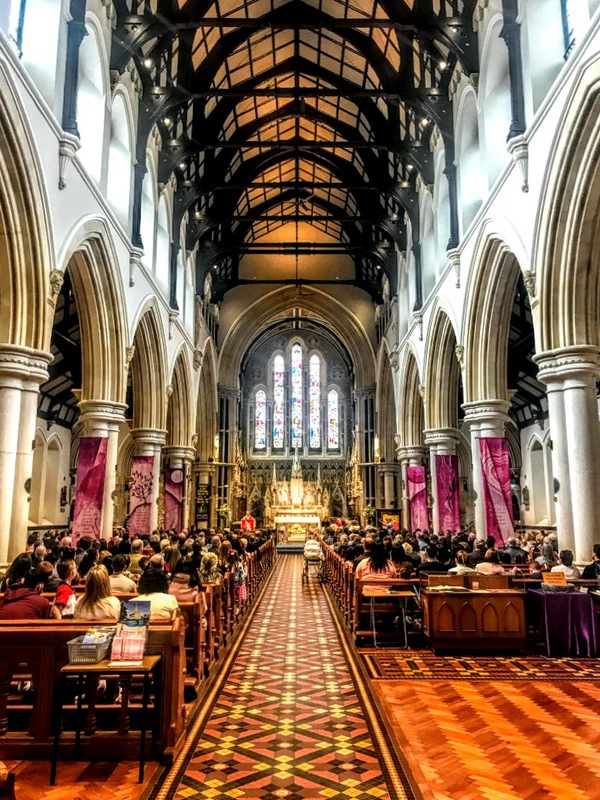 The church was dedicated in August 1896, and was consecrated on 14 October 1906. Ashlin and Coleman designed internal changes in 1910-1911, and the mosaic decoration of the apse and chancel and later work in the side chapels are the work of Ludwig Oppenheimer. The high altar in Carrara marble is by Edmund Sharp (1853-1930), replicating one at Coatbridge in Scotland, with depictions of the Last Supper, the Nativity and the Ascension. A side altar, the altar rails and font were all designed and executed by Sharp. This is a cruciform-plan church, aligned north/south rather than east/west. It has a gabled entrance front with a corner turret and flanked by a five-stage tower with a spire on the south-east (liturgical north-west), 10-bay side walls at the nave, with side aisles, a baptistry and a side porch at the east (liturgical south), transepts, its chancel at the liturgical east end and an L-plan sacristy with a porch. 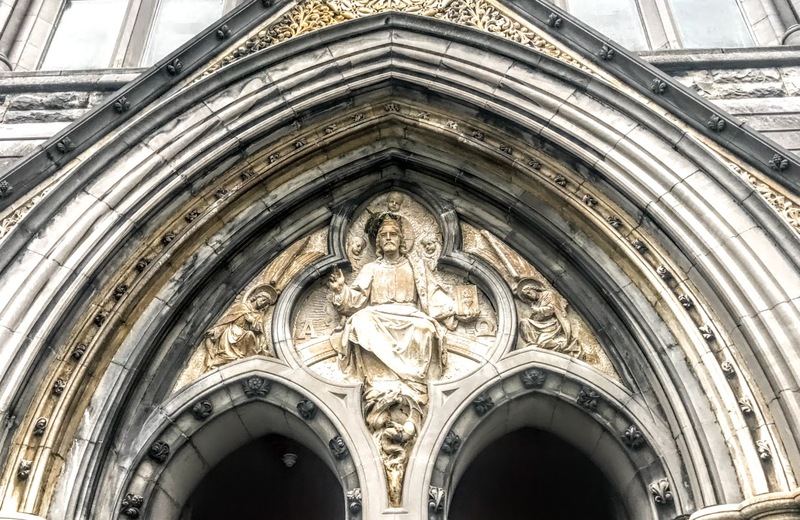 At the liturgical west end, there is a Rose window and triple lancet traceried windows at the entrance front, with order surrounds, hood-mouldings and stained glass. In the chancel, there is a five-light lancet window with engaged columns and hood-moulding. There are triple-light windows at the transept gable, traceried pointed-arch windows in the clerestory and lancet and twin-light windows elsewhere, some separated by marble columns. 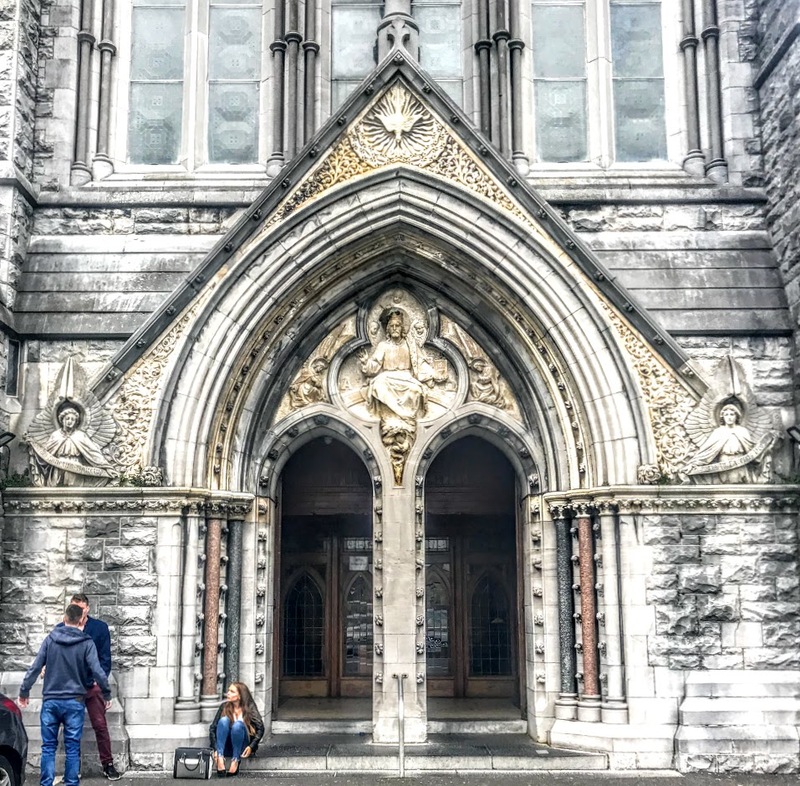 The elaborate west (south) door at the entrance has a pair of pointed-arch door openings, with timber battened doors that have an order arch with engaged limestone and marble columns, a trumeau tympanum and archivolt above, and a sculpture of Christ the King on the tympanum, with flanking imposts. The side porch has a pointed order arch in a gabled projection. 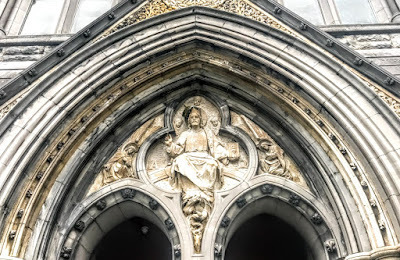 Inside, there is an arcade of clustered Portland stone columns, an open pointed truss roof and a sculpted reredos. 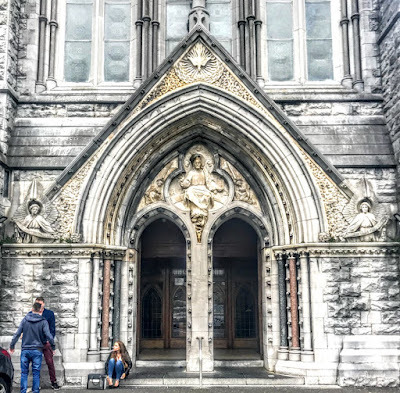 Doolin’s church in Nenagh remains a beautiful example of large-scale Gothic Revival architecture in Ireland in the late 19th century, with its finely-carved ashlar dressings, gargoyles and elaborate west doorway. 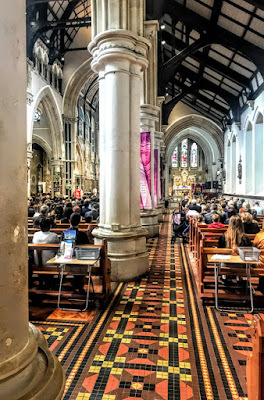 Inside, the columns and pointed arches are of Portland stone and the nave revives the quatrefoil columns found in some 13th century Gothic parish churches in Ireland and in the west country in England.